This is Apple's Biggest S Update to Date! 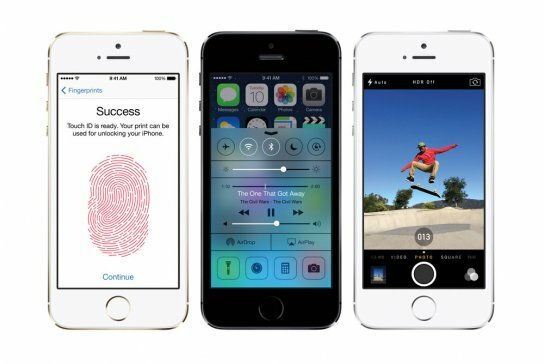 Apple has just announced the iPhone 5s to add to their line up of phones earlier this week that brings new tricks and tweaks to an already excellent product. First on the list is Apple's new iteration of the iPhone 5. Aptly named the 5S. This new contender will bring to the table a new color different from the rest… Gold! The iPhone 5S will now come in gold silver and gray. Another new feature people have been looking forward to is the inclusion of a finger print scanner. Using Touch ID you can unlock your phone just by having you finger on the Home button. Not to belittle the above features but the phone will be the first to support a 64 bit architecture all housed in their new A7 chip giving it a double boost over the iPhone 5 and over 40 times faster than the original iPhone. This will be taken advantage of with the release of iOS 7. Gaming on this device will take a new leap above its former pedestal. The Camera has also been updated to incorporate more pixels, but bigger pixels don’t always mean great photos. So on top of that they increase the sensor size by 15% and also adjusted the aperture to barrel down to f/2.2, a huge step in the low light direction. They threw in a new burst capture mode and improved the flash by incorporating a new white led and amber led designed to work simultaneously to provide over 1000 different lighting options. Also Apple has updated its hardware care package with the new AppleCare+, which will provide 2 years of tech support and additional hardware coverage from the purchase date. It will also include 2 incidents of accidental damage coverage for a 79-dollar service fee plus additional tax. Looking at everything that was just added, we can only imagine what can be in store for us when the next generation of iPhones is unveiled. The new iPhone 5s will begin shipping September 20th for $199 for the lowest storage model with a supporting carrier or from $649 unlocked and contract free.